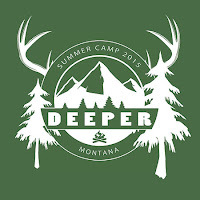 Are you signed up for Deeper Summer Camp? This July August 18-21 we are heading out for our DEEPER SUMMER CAMP! We have rented a ranger camp in the mountains of Northwest Montana, about an hour and half from Kalispell. If you are ready to get closer to God—and have a blast doing it—you won’t want to miss this! Get the full details here. ©2012 The River, Inc. Visit http://therivermontana.com for more information. Awesome Inc. theme. Powered by Blogger.